Posted by Stuart Herbert on November 5th, 2010 in Desktop Wallpaper, Travel Photography. 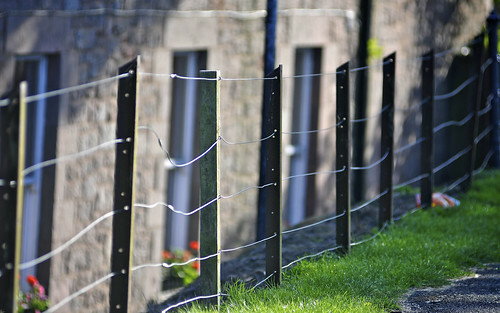 To finish this week’s theme of a walk around the town walls of Berwick upon Tweed, my desktop wallpaper today is this simple shot of one of the fences that runs along the town walls. At first, I thought the fences were there to stop tourists raining down onto the locals passing beneath the walls, but when I saw that the fences had gates to allow access to the walls, I started to wonder whether or not the main reason is to stop dogs and little children getting up onto the walls. If you know, please leave a comment! I hope you’ve enjoyed this week’s shots of Berwick. I do have a few left for a future week, but I think that next week it’s time for a change. I’ll see you on Monday!